The online version of the card game gets its first major graphical update since 2002. The Escapist staff plays a lot of Magic, usually enjoying the face-to-face socialization at lunch or after work. But a lot of fans don't have the luxury of working in close proximity with a bunch of nerds, so many resort to playing online using the Magic Online client. Wizards of the Coast released this version in 2002, and in order to play you have to purchase digital versions of cards and trade with other players just as you'd have to with paper. 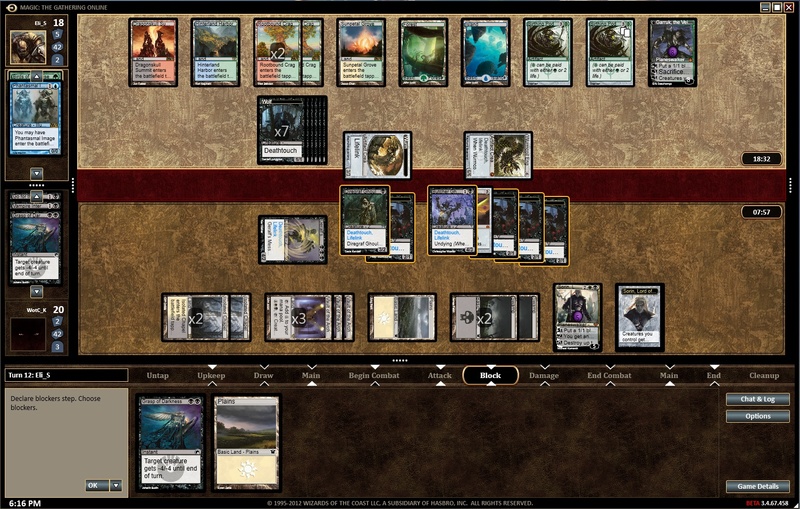 There are all kinds of formats and tournaments to play, and it offers more freedom of deck-building than the iPad/Steam/XBLA game Duels of the Planeswalkers. Still, the Magic Online client has only endured a few updates over its ten year lifespan, the most recent occurring in 2007. Wizards believes it's time for a facelift, announcing a new graphical interface today that's available for testing until July 25th. 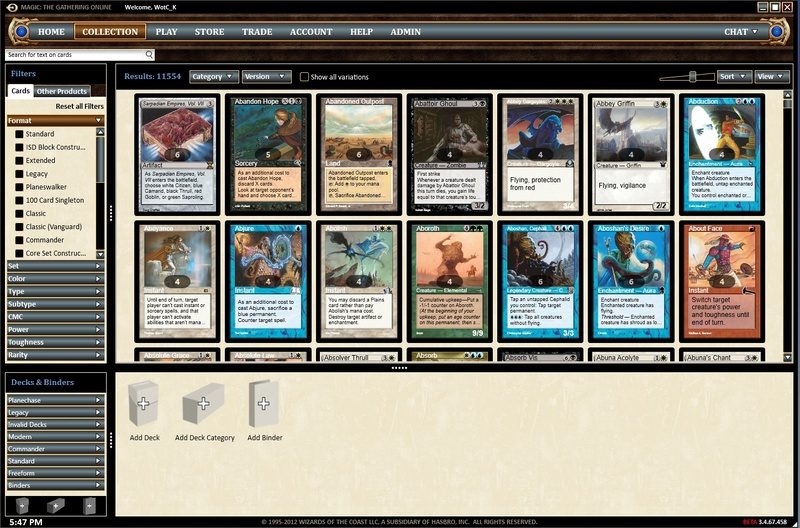 Among the features of the new graphical interface are improved drafting visuals, a collection and deck editor combined into one tool, and the ability to move windows wherever you want on multiple displays. There's also nifty looking graphical themes which display one of the five Planeswalkers the brand has been pushing the last few years. You can finally have Jace Beleren or Chandra Nalaar gracing the edges of your screen as you cast spells, summon monsters and reduce your opponent's life to zero. In a nifty bit of technical jiggery-pokery, the new graphical client is completely compatible in playing tournaments and matches against players on the old client. 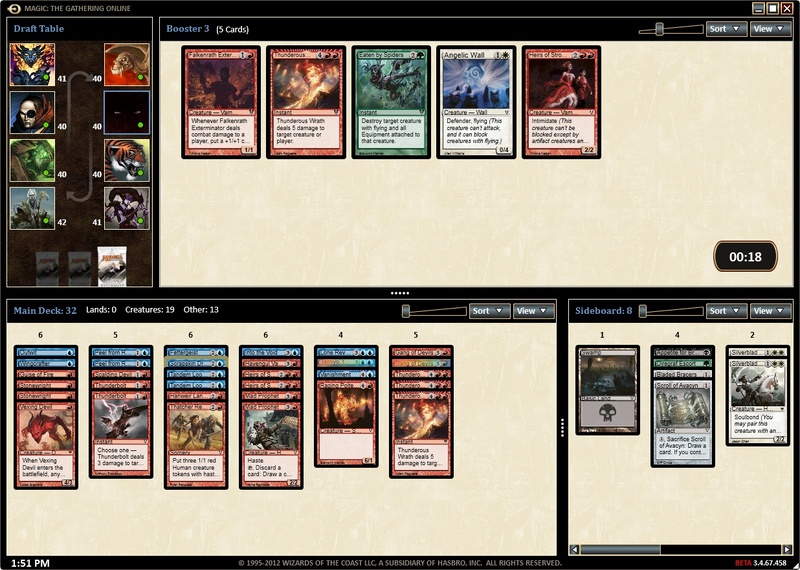 If you're a Magic Online player already, check out the new digs and offer some constructive feedback on how it looks and works. If you're interested in Magic, you can also drop ten bucks to sign up and get the starter kit of 200 digital cards and a digital booster. Just be aware of the rabbit hole you're looking down ... Those digital boosters are just as fun to open as the real ones, and even though the digital objects cost just as much as the physical version - $3.99 per 15 card pack - you can't easily transfer between a digital collection and a physical one.